Treat your family to a holiday ham this Perfect Holiday Christmas instead of a turkey. For years, our family always had turkey at both Thanksgiving and for our Christmas meal. But a few years ago, I switched things up and decided to prepare a ham instead. My husband was so delighted with the change that it has become a tradition for us to do this every year now. Do you want a perfect holiday ham on your table this year? Read on for some tips to make a very special treat for your family. I think the main reason he loved the change so much is because the two holidays are so close together. And while he loves turkey left overs as much as the next person, the change to a totally different meat for our Christmas dinner really appealed to him. Another reason that I love doing the ham is that it allows me to use the ham bone later for my traditional split pea and ham soup for New Year’s day. My grandmother used to tell us that serving pea soup on New Year’s day brought riches for the coming year, so my whole family has continued this tradition. Now…none of us are wealthy, so I’m not sure that about the rich part, but it sure does taste nice! 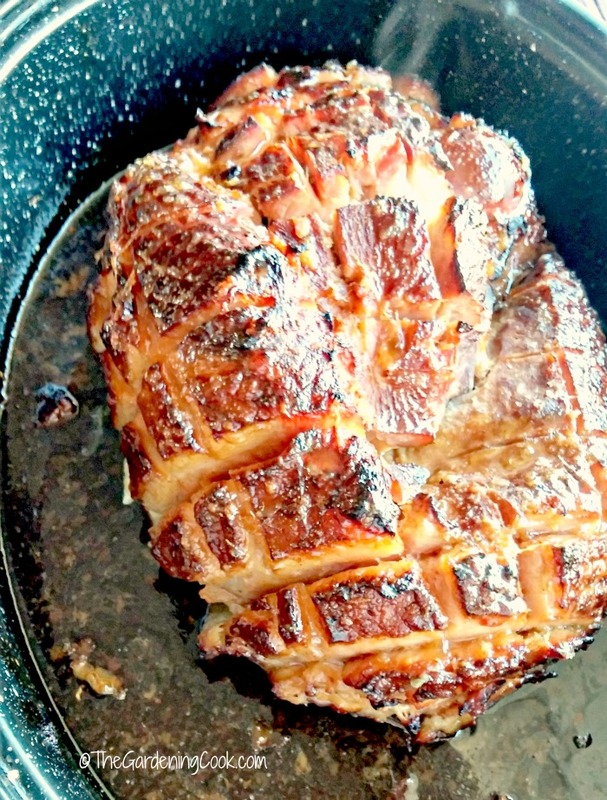 What makes this ham recipe such a special one is the glaze. It is rich and full of flavor and adds tremendous flavor to an already great tasting ham. For our dinner this year, we chose a Hormel Cure 81 bone-in ham in the Cherrywood flavor. I have never tried this ham before and was anxious to see how my glaze worked with the cherrywood flavor. HINT…it is a huge success. We all loved it! Hormel hams are great for any gathering. From a tree trimming party, to a full blown holiday meal, to ham for Christmas morning brunch, or the day after, it is the perfect choice. Look what goes into the glaze for this ham!! How can it not taste delicious with honey mustard, honey, brown sugar, pineapple juice, vegetable juice and more and more. So many wonderful flavors to make this ham taste unreal! The recipe is cooked in two stages. My first step was to score the skin of the ham in criss cross strokes. This will give a nice look to the outside when it is cooked and also some little crevices for the delicious glaze that I will be making. The ham will cook until it reaches an internal temperature of 130º F when tested with a meat thermometer. (about 1 1/2 – 2 hours depending on the size of your ham.) That allows the glaze to be added after and ensures that it won’t burn, and also gives the ham a bit more time to reach the desired 140º F when finished with the glaze. The glaze is super easy to make. I prepared it in the last few minutes of the initial cooking time for the ham. You will want it to be the consistency of maple syrup. 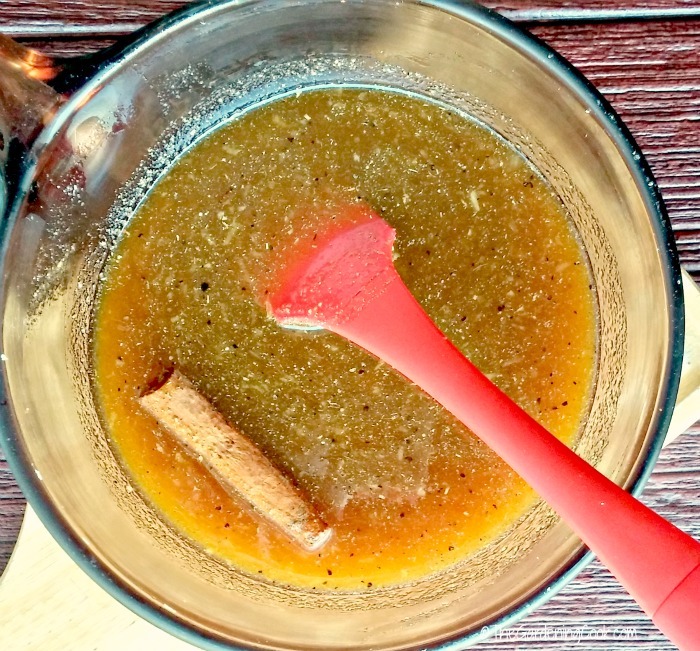 It has a tangy taste from the mustard and fresh ginger that blends really well with the brown sugar and pineapple juice. To make sure that the glaze came out perfectly I added 1/3 of it at a time to the cooked ham and put it back into the oven each time. This made sure that the glaze was just lightly crispy but not burned. And the FLAVOR! Stand back folks. You will not be able to keep your holiday guests from digging right in. It is so tasty, and the wonderful glaze compliments the cherrywood flavor of the ham beautifully. 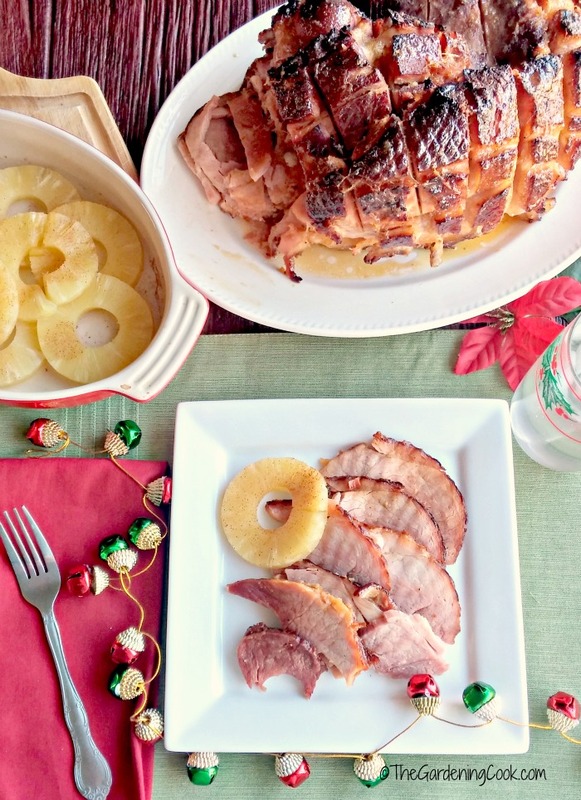 Serve this with your traditional holiday side dishes, and try using the reserved pineapple slices to bake them in the oven with brown sugar for a delightful side dish that pairs perfectly with the glaze on the ham. The ham is moist and tender and not only tastes wonderful but looks beautiful too, with that amazing glaze. 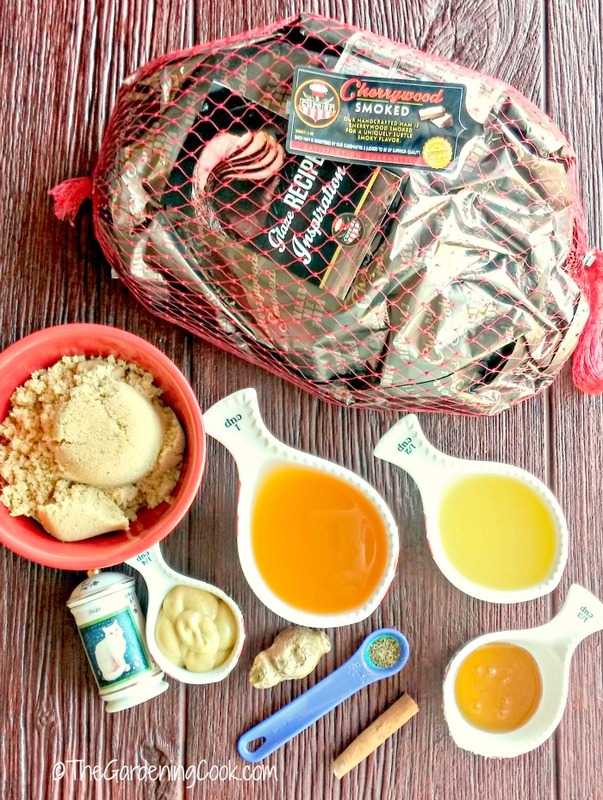 You can be sure that all your holiday guests will be asking for your recipe this year! 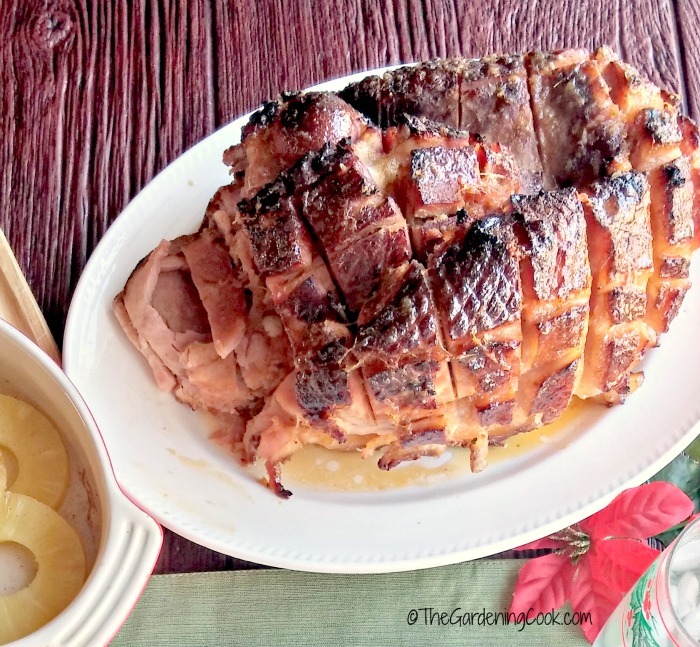 Would you like to serve this delicious glazed ham for your holiday gathering? 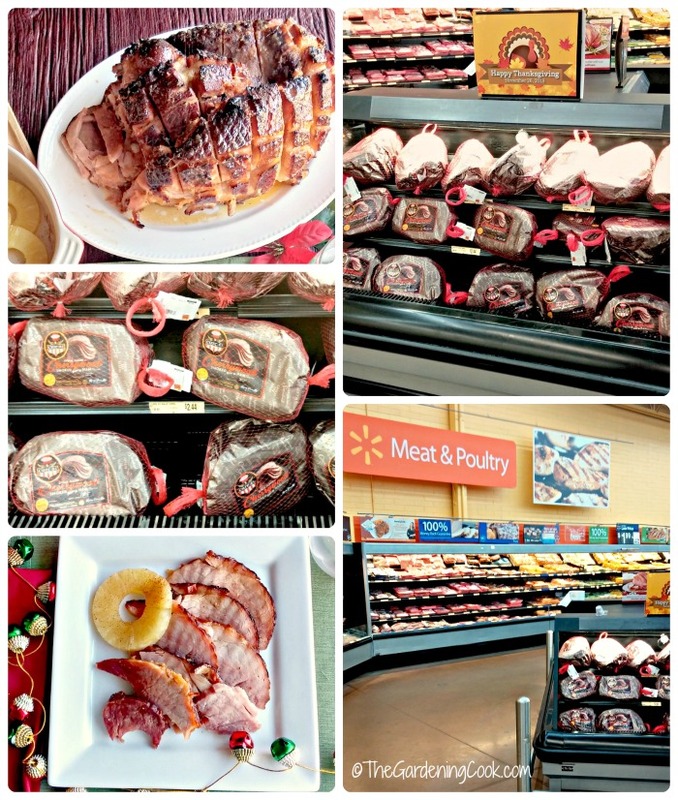 Head on over to Walmart and visit their fully stocked meat department. Walmart has a special display case just for the Hormel hams, so it is very easy to find. What is on your holiday table this year? Do you need some inspiration? See my holiday food board on Pinterest. 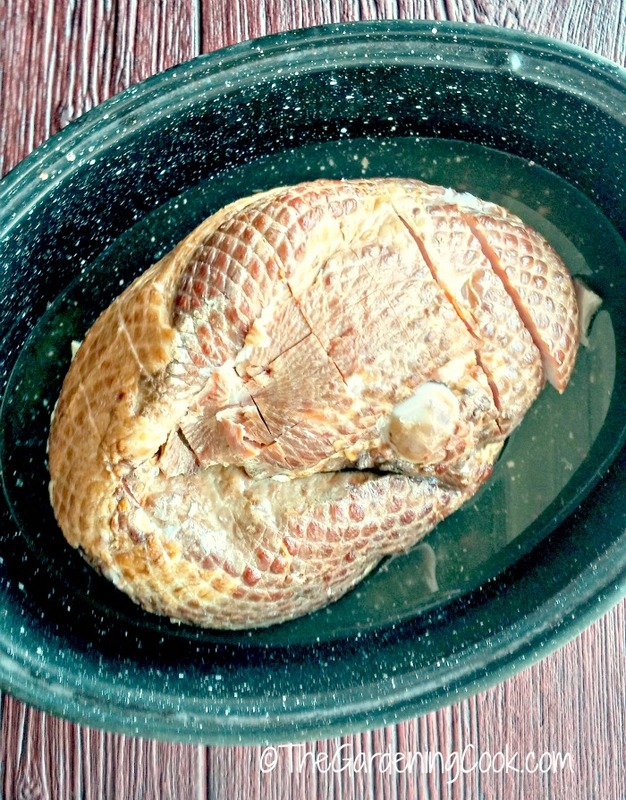 Place ham skin up on your cutting board and make half inch deep cuts in a criss-­cross pattern across the top and sides. Pour in the vegetable stock. Lift ham slightly so the liquid gets under the bottom of it. Doing this will make sure that the ham does not stick to the pan and will keep it moist during cooking time. Tent with ham with aluminum foil and cook for 1 ½ to 2 hours depending on the size of your ham. It should reach 130º when tested with a meat thermometer. While the ham is cooking, place all of the glaze ingredients into medium sauce pan and bring them to a boil. Reduce the heat to a simmer and cook to a thick syrup ­like consistency similar to maple syrup. Set the glaze aside. Once the ham is at 130º F, remove and increase oven temperature to 425º F.
Remove the foil (save the foil for later) and use about ⅓ of the glaze to cover the outside of the ham. Place it back into the oven and heat for another 15 minutes. Remove, add another ⅓ of the glaze, cook for 15 more minutes, and then finish with the rest of the glaze and a final 5 minutes or so. You will want the outside to just be lightly crispy but not burned. The internal temperature should be 140º F.
Remove from the oven and tent with the saved foil and let rest for 20 minutes. 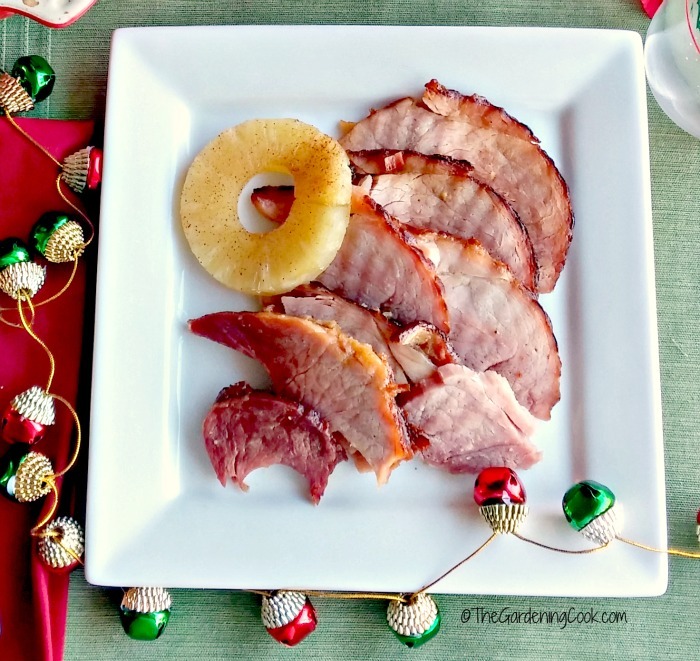 Move ham to a cutting board, carve and serve with brown sugar baked pineapple rings. Looks delicious! I think that I would like the change too, we only eat turkey at Thanksgiving but I think I’m turkeyed out. 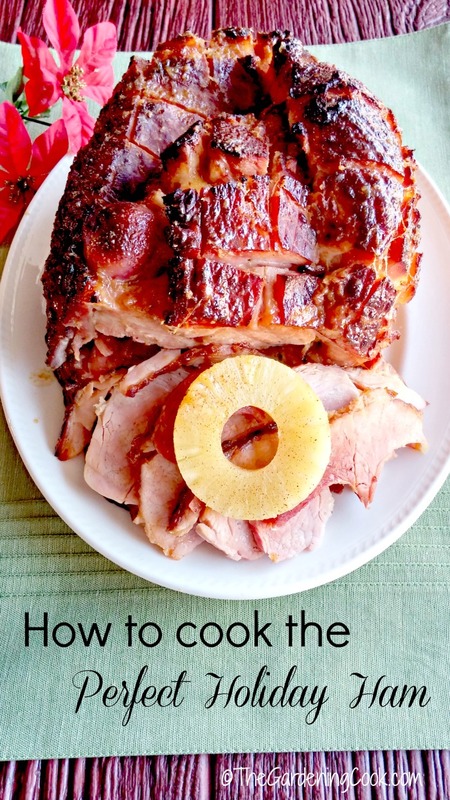 Ham sounds good for a change, and your recipe looks yummy with the glaze and pineapple. Great pictures! The glaze is so good. Really makes the flavor of the ham shine!